When this house was built in the 1950s, the luxury of a second bathroom off the master bedroom that did not have to be shared with children was a dream. Sixty years later it was considered woefully small for a growing family. 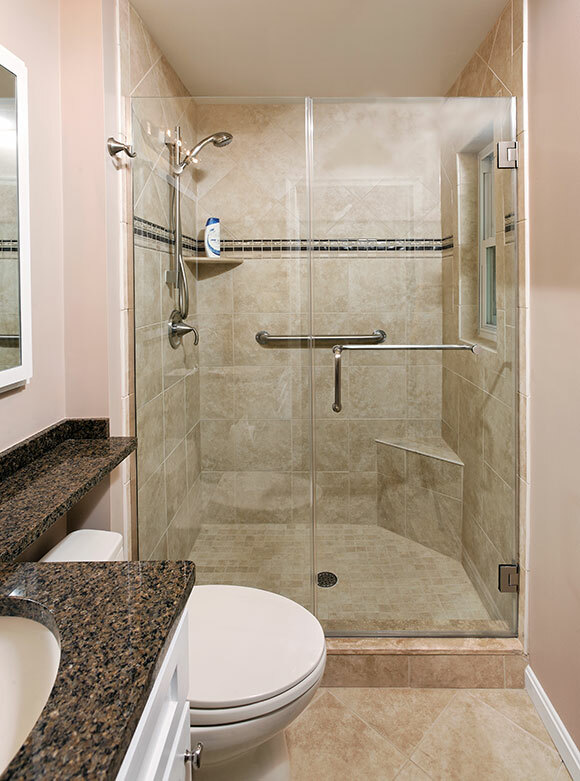 The FOXCRAFT solution borrows less than a foot of space from an adjacent closet, and pushing the bathroom out a bit, there is now enough space to walk past the toilet and into the shower. Even though the vanity itself is small – less than 30” wide – the introduction of a “banjo” top provides much needed counter space. If this is your tiny bathroom, contact us. We can make it work for your family!